This Christmas was seriously one of my favorites. 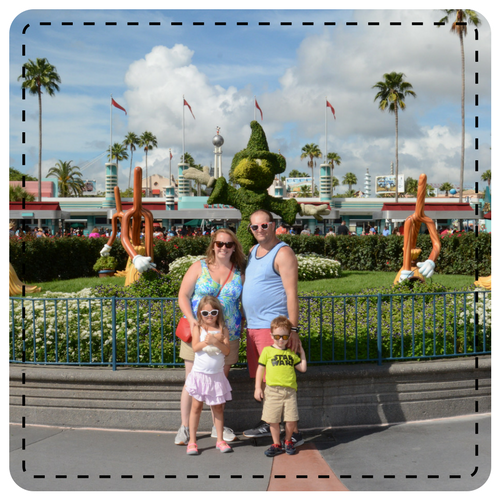 It was our smallest, and most relaxed that I can remember. Like the Insta photo says, it was one of our "smallest" (read: least expensive) Christmases. For Emma's first Christmas, she only received a car seat (her convertible) and Fisher Price Sea Horse. It was all we could afford and I found myself making up for it in the past few years. 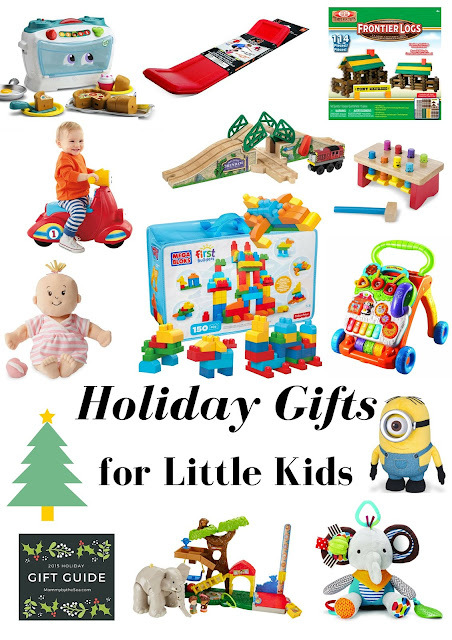 I never spent a lot, always getting things at major discounts but this year I really wanted to focus on being with my kids, rather than gifts for them. We spent less than $100 on each kid. Most of the gifts were blogging perks and the others were at super discounts. Instead, we funneled money into our "fun account". 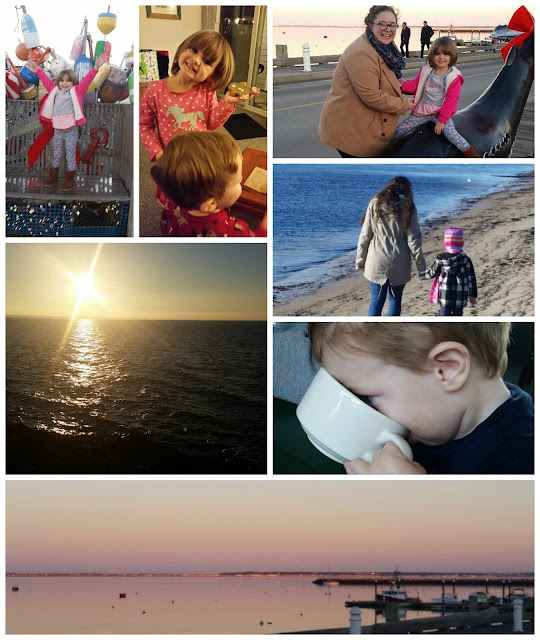 The first weekend of December, the kids and I went to Provincetown for the weekend with my Grandma, Mom, and sisters, and walked on the beach, went shopping, and ate lobster and chowder. It's such a relaxing way to spend a weekend! The following weekend Emmalee and I went to New York City for the night. My youngest sister joined us for a girls night! I've been meaning to blog the whole trip and just haven't. It was so much fun. We got to NYC bright an early on Saturday morning, around 9:30 am, parked the car, dropped our luggage off at the Broadway @ Times Square Hotel and headed into Times Square. From there we walked to Central Park where we browsed the pop up holiday shops, played on the playground and walked over towards the Plaza hotel. 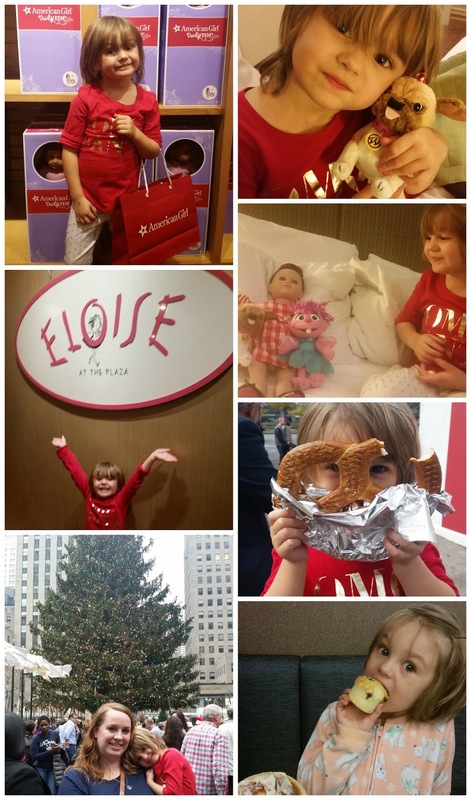 We stopped at the Plaza Hotel to visit the Eloise giftshop, grabbed some macarons from the dining hall and made our way down Fifth Ave towards Rockefeller Plaza stopping to see all the window displays. We did a quick run through Magnolia Bakery for cupcakes and walked back to the hotel to check in and drop off our stuff! After a little rest, we ventured back to 5th Ave for the American Girl store, Sephora, and dinner. The hotel was perfect for our get away and we checked out after eating a complimentary breakfast and headed home. Emma spent 30 minutes asking when we could go back and if we couldlive in New York City so I think she loved it. Our third adventure was to the Nutcracker at Providence Performing Art Center. Emma is big into ballet right now and this was perfect. She was in awe the whole show and 6th row seats were amazing! 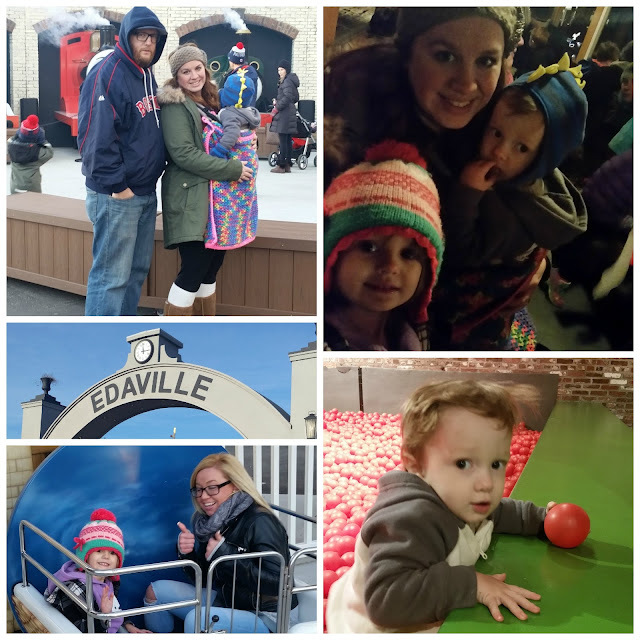 Our fourth adventure was to Edaville Railroad in Carver. The whole post is in that link but a family night of rides, Santa, cookies and Christmas lights was perfect! And our final December adventure was to Disney on Ice in Providence! We brought Ty with us and had no clue how he would do, but he was dancing around to each song! It was so cute! Our December was amazing. Even my school vacation has been so relaxing. We have gone shopping a few times, cleaned rooms in the house, but really honestly, we've been in pjs all week and I love it. While I love the Christmases that we've been able to give our children over the past few years, this one was my favorite. I didn't stress about gifts for my children, or treats for work, or even spending money on decorating the house. I focused on my family. My kids. I was present instead of giving presents. For the Last present of this year's gift guides, I figured I'd let my husband tell you all about it, since he couldn't even wait until Christmas to open it! Hello again, today I will be reviewing the new Activision™ game called Guitar Hero Live by for the PlayStation 4, Xbox One, PlayStation 3, Xbox 360, Wii U, or iOS. I have always been a huge fan of the Guitar Hero franchise for the simple fact you can thrash out and melt faces with some of the best metal, classic rock, and rock songs, but this game also includes some pop, country, bro country, and soft rock songs. The franchise really has music for all types of music lovers. Just like its predecessors the bundle comes with the game, a guitar controller with batteries and a guitar strap, or you can get the deluxe bundle which comes with the game, 2 guitar controllers, batteries for both guitars, and 2 guitar straps. I got the deluxe so I can jam out with my 4 year old daughter (she plays it on an easy level, where all she has to do is strum one button). The guitar controllers are wireless, they just need to be synced with your console which is super easy. There is also an option for a microphone, so if you have that one person in your house that can sing, they can also play. Unlike the old guitar controllers, this new version feels like you’re actually playing a guitar, and not just a game. Instead of 4 buttons, it has 6 and the extra buttons really give it a feel of strumming 6 strings. Guitar Hero Live has two modes Live and TV. Live mode can be played with up to 3 people, 2 on guitar and 1 singing. Live mode has 2 venues to choose from U.S or U.K. Each venue has set playlists you can play through in front of live crows with real bands, which I think is pretty cool. The set lists represents whatever band you are playing with. The second mode is TV mode which is the online feature. This is by far the best feature in Guitar Hero Live. TV mode has 2 functions. You can browse an online catalog which lets you choose the music video you want to play and it puts you against 9 random people. It is a truly live contest and after every song you gain experience points that allow you to rank up and get a new plays to play even more songs. Another innovative feature are the channels. There are two channels set up through Guitar Hero Live that allows you to pop in and out of themed hours of music. There was an hour where it was all 90’s boy band followed by 80’s Hair Metal. You can pop in and out of the channels as you like and you don’t have to spend your coins or plays to get songs! 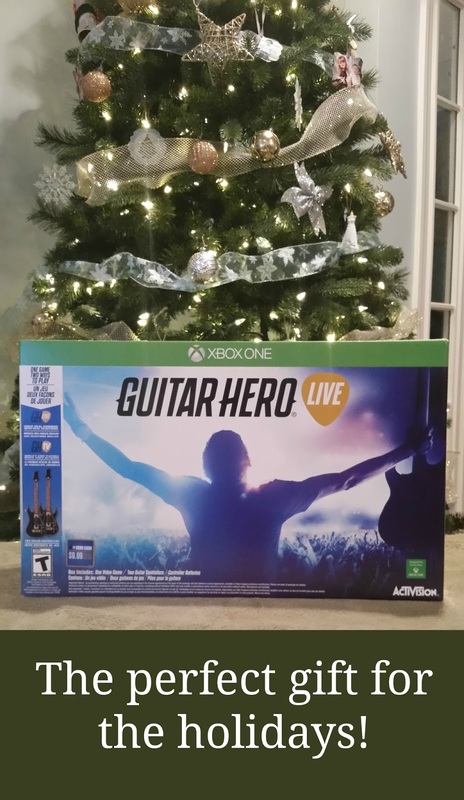 I like this new version of Guitar Hero so much more than the original and am happy my wife picked this up to bring it back in my life! You can grab it as local retailers or from Amazon (affiliate link)! Edaville USA Festival of Lights: Another Giveaway! We have had some amazing weekends this month. The first weekend was spent in P-Town, walking the beach, eating seafood and going shopping. The second weekend was spent in new York City, where we gorged on cupcakes and walked over 30 blocks. 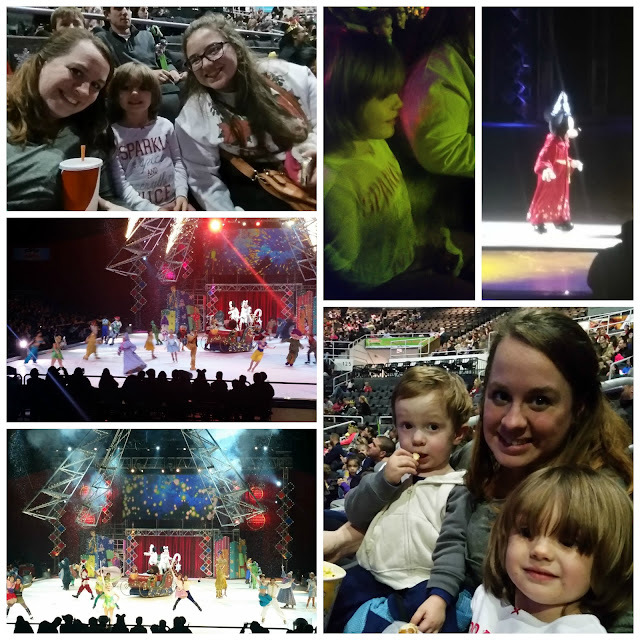 And this weekend we spent it at The Nutcracker and Edaville USA. 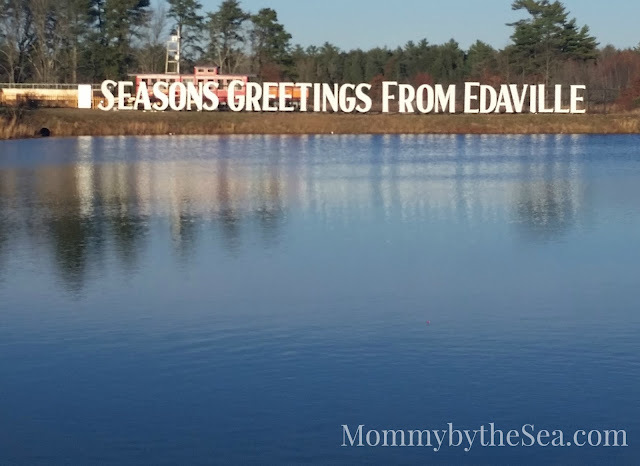 Edaville is quickly becoming a family favorite of the holidays, and with the newly renovated park, it was even more fun this year than last year. We got to the park right at 3 pm when it opened so we would have lots of time on the rides before it got too dark. We of course, stopped at the carousel first because we always do and take at least 3 turns on it, then we headed off. 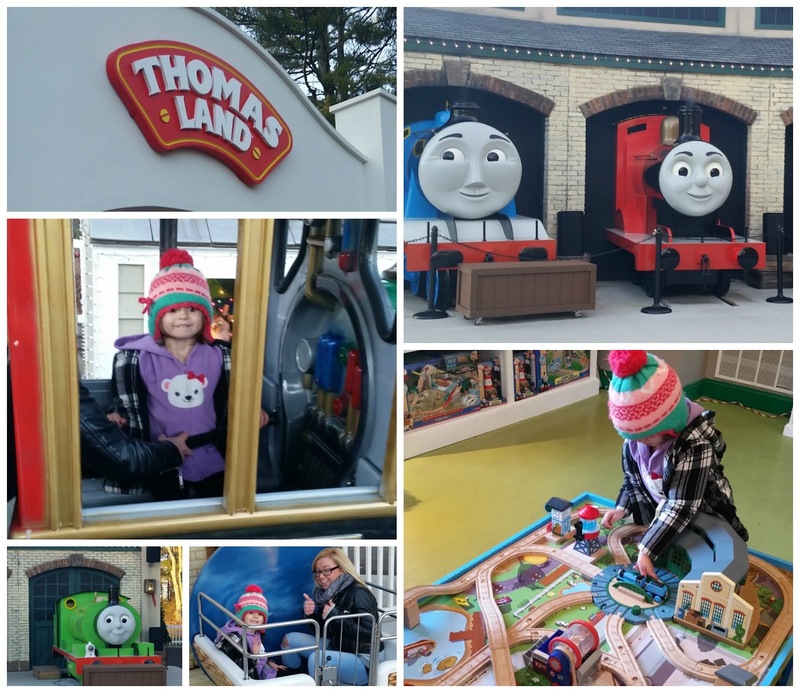 We hadn't seen the new Thomas Land so we went straight there first. I was amazed at how many great rides there were! Tyler loves trains, even though we haven't introduced him to Thomas yet, so he was very happy, bouncing along saying "shhoooooo shhoooooo". Emma went on lots of rides by herself, more than I ever expected! I'm so excited for the addition of Thomas Land and am so excited to see how much more they develop it! After Thomas Land, it started to get dark so we headed in to one of my favorite areas, the indoor play area! Obviously, I like it because it's warm! 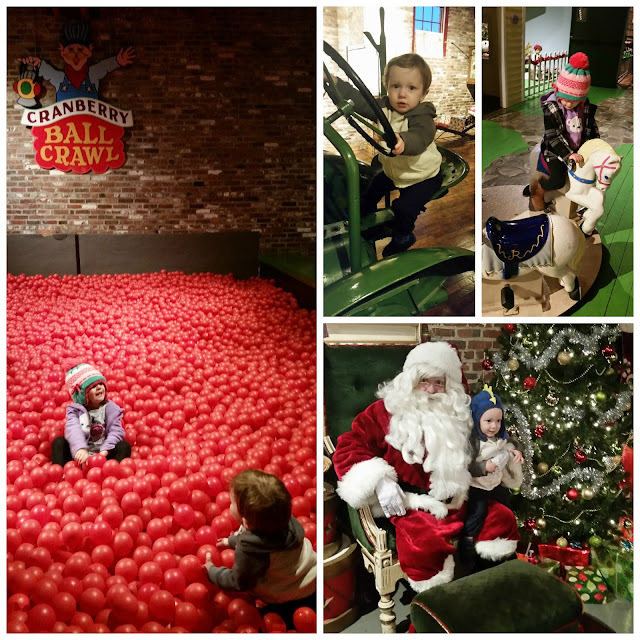 But it also has great little kid sized rides, including a merry go round, a pedal powered small merry go round type toy, motorized cars, and a huge ball pit upstairs plus bumper cars, a arcade type area and Santa downstairs! IT's a smaller sized area so it's nice to be able to let the two kids really play and run around a bit! 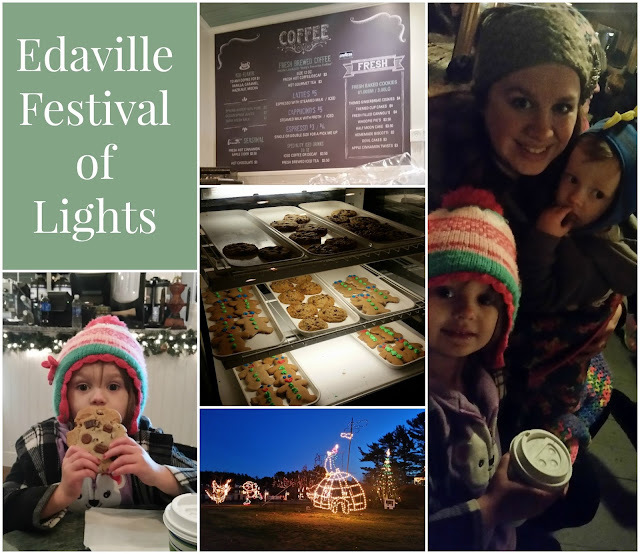 While all of these are great and fun reasons to visit Edaville, we were really there for the Festival of Lights! The train ride around is Emma's favorite! The trains leave every half hour and take about 20 minutes to go around the whole place. We always stop at the little bakery and grab cocoa and cookies before boarding. I thought this year's lights were much better than last year's! There were either more, or arranged better- it was so fun! Emma was a big fan of all the dinosaur shaped displays! We had a blast and while I was excited to give away a set of tickets for last weekend, I'm super excited to have ANOTHER family 4 pack to give away again! Edaville doesn't close up until January 1st and with the gorgeous weather expected, it would be the perfect vacation week daycation trip! 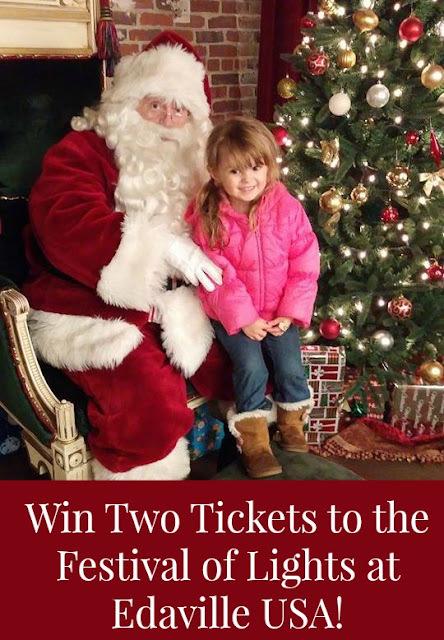 Head over to my Facebook page to enter to win and if you can't wait to see if you won, use the code SANTA for $5 off Festival of Lights tickets now! It's Star Wars movie day!Today is the release of the newest Star wars movie, The Force Awakens and the entire world is pretty much a mess over it. My husband has tickets with his friends to go this morning and while I have no desire to see it... okay maybe a little bit after I forced to watch 4 of the 6 "originals" while recovering from my surgery... I love the ridiculousness of how everything is now Star wars themed. 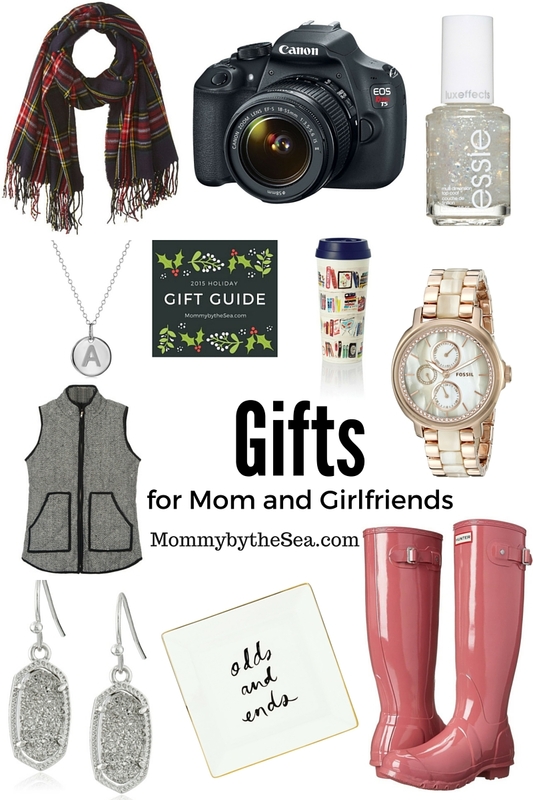 I curated a few of my favorite items that would be perfect for the holidays, or just to celebrate the new release! Which is your favorite? 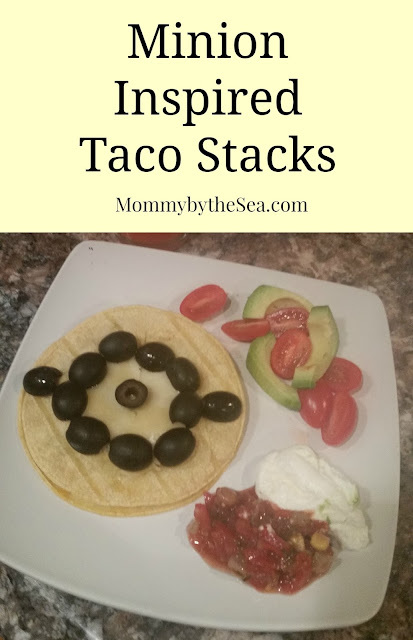 Have a #MinionsMovieNight with Minion Inspired Tacos! We have been going, going, going this month! Between P-Town last weekend and NYC over the weekend that just ended, plus school, looking at holiday lights, and the normal everyday run arounds, it's been crazy here! While I was out at Target last week. 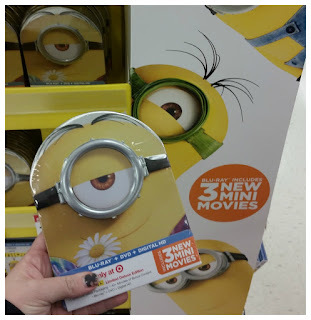 picking up some "last minute" gifts and supplies for tacos for dinner, I saw Illumination Entertainment's Minions and decided it was the perfect relaxing movie night that we needed. The display was set up right next to the check out so it was the first and last thing I saw! I ended up grabbing the Metalpak which is exclusive to Target. How cute is this?! 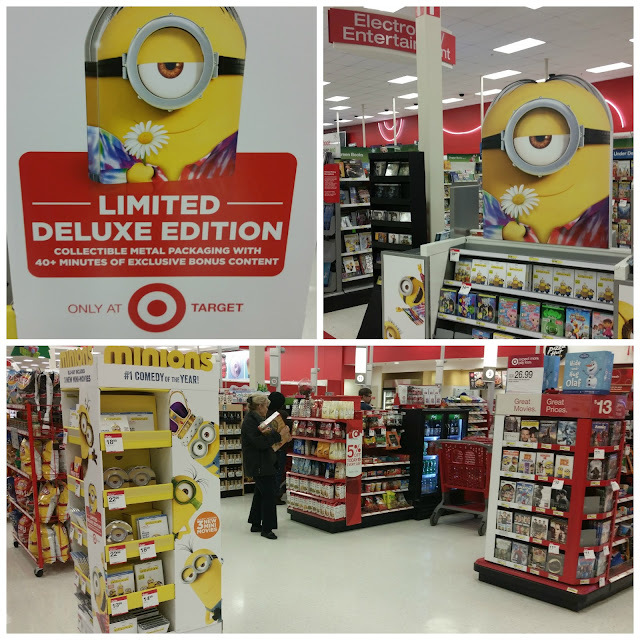 And more than cute, the Target Exclusive Minions © 2015 Universal Studios. All rights reserved Metalpak offers 40 EXTRA minutes of content-- exclusive to Target! There are also party planning tips; everything from invitations, to party games, to fun recipes. I had promised Emmalee tacos that night but while looking at the in store display, inspiration struck! I was going to make minion themed tacos! Target had everything I needed for dinner, including some adorable Minions themed plates, Archer Farms salsa, and an avocado for the tacos. I also picked up some popcorn and a couple more ingredients to make Emma's favorite sherbet punch. Having everything at Target made for a one stop shop that was so simple! As excited as Emmalee was for our movie night, she was even more excited that her dinner looked like a minion! I loved having a relaxing night with my daughter and the movie was amazing! 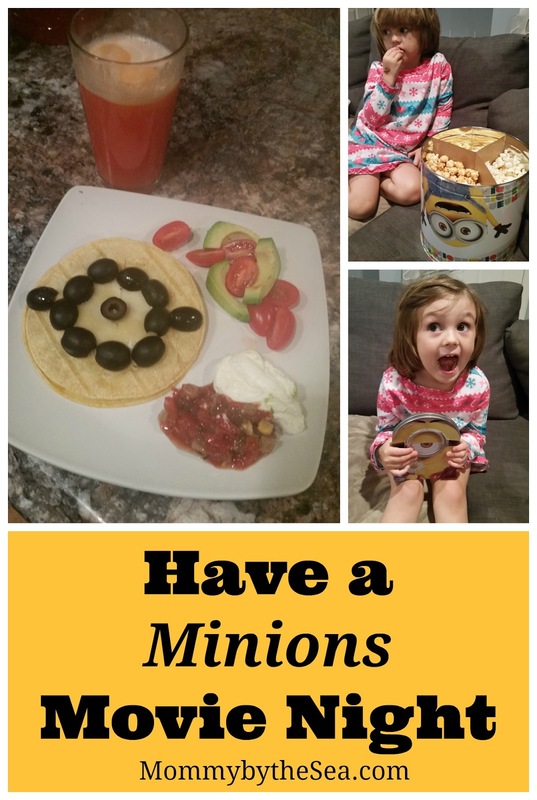 Be sure to check out more delicious recipes inspired by the Minions movie release here. I'd love to hear which is your favorite movie night recipe! 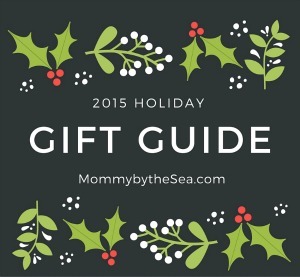 As promised, the first part of my gift guide for kids is up! 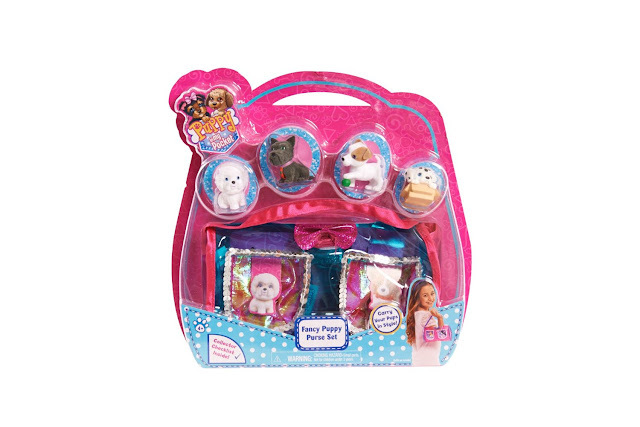 This guide focuses on the smallest friends you know, and because I don't believe that toys should be defined by genders, you will never see a "great toys for girls" or "great toys for girls". Instead these gifts could be great for any child under the age of 2 or 3, although many will grow with the child until they're older! 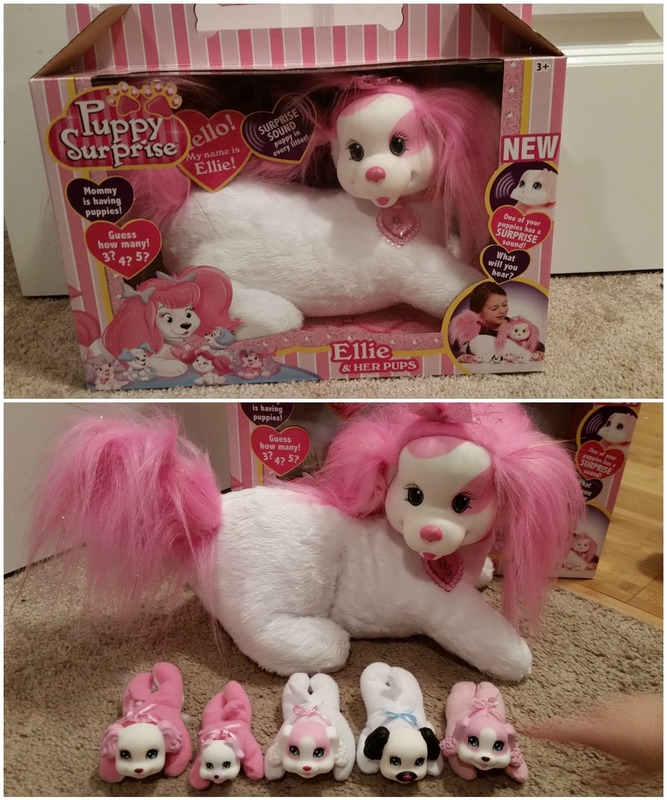 Disclaimer: This toy was provided in exchange for my honest review. All opinions are my own. Additionally, this page may contain affiliate links that help me support my blog at no extra cost to you. 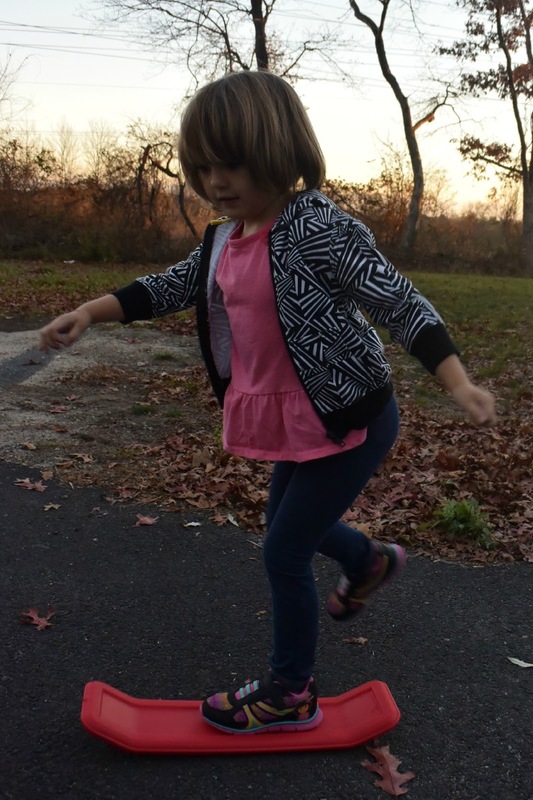 My little girl has fallen desperately in love with rollerblading, only, she's not so good at it so she keeps falling. Even with elbow pads, knee pads, and roller skating gloves, she manages to hurt herself. She isn't exactly the most coordinated, so imagine my horror when she asked for a skate board while we were out shopping. No. Just no. I can't afford that many hospital visit insurance co-pays. Sorry kid. But then at Blogger Bash this summer, I saw the PlaSmart Kick Flipper, which is essentially a skateboard without wheels! It's designed to help kids develop balance and coordination and is targeted at kids age 5 to teen, but with it's 200 lb weigh limit, both David and I have had some fun playing on it! And since it's safe to use on grass, sand, or carpet, little ones can safely use it outside or inside! 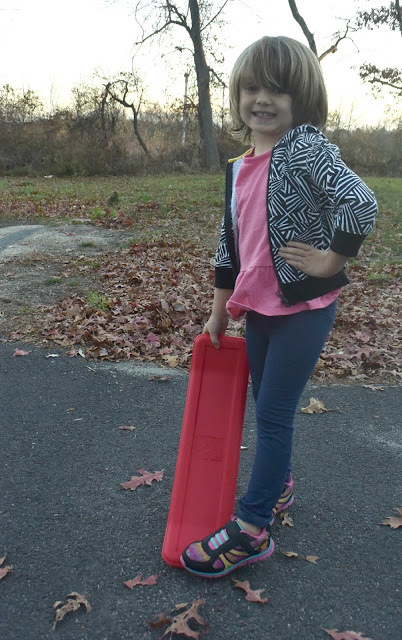 The Kick Flipper is available from Amazon for $19.99 in both red and blue and is approved by Emmalee as a 2015 Holiday Gift Guide toy! For more information on Kick Flippers and other amazing PlaSmart toys, check out their different social media links! Sometimes I find that Dave is the hardest person to shop for on my list. He doesn't usually have a list, just some random ideas that he'll mention once and then never again and I'm usually left hoping for a great idea in time! 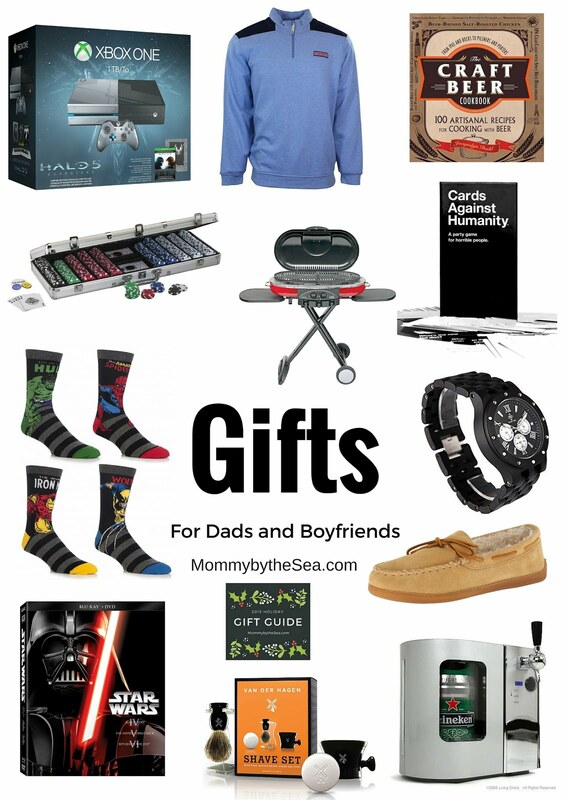 As promised, here are 12 great ideas for the men in your life! So, which one is your favorite? Or what are you going to grab for the man in your life? Disclaimer: I was provided this product in exchange for my honest review. All thoughts and opinions are my own. This post contains affiliate links, I may be compensated for purchases made through these links. For more information, click here. Remember last year when Emmalee received the Wubble Ball? We had a blast with it! She loved how huge it was! 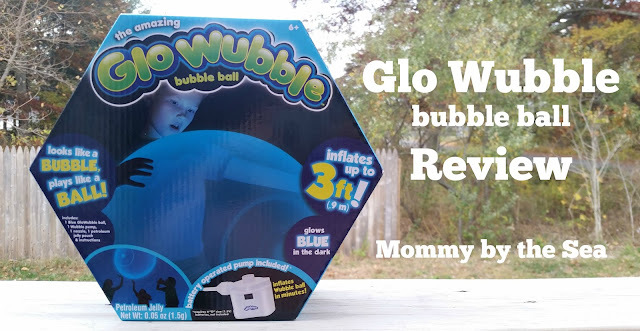 Once again, she got to play with a Wubble Ball, but this time it was the new Glo Wubble! 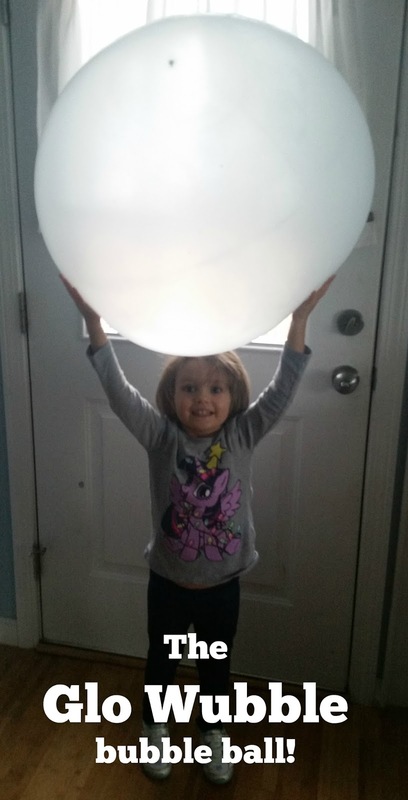 The big ball is inflated with an enclosed air pump. While it is battery operated, there are no batteries included, so be sure to have some on hand if you want to be able to play right away. We didn't have any so it was off to the store. Once we had the batteries, it inflated quickly. It gets BIG! We brought the ball to the basement where it was dark but didn't get any glow, so we weren't sure if it needed to "charge" so we propped it near the window while we enjoyed lunch. When we brought it down to the basement, it had a bit of a glow, but wasn't as much as we expected, so we propped it up again. After a couple hours in the light/sun, it was really glowing!! Emmalee really loved playing with the Wubble Ball and we've already purchased 3 more since! The entire Wubble brand makes really great, fun gifts for this holiday season! It's Monday! The Monday of a 2 day work week so I am quite happy over here. Last night I received a Facebook request from my cousin-in-law, asking if I wanted to donate to his "Movember Campaign". Every November, the Testicular Cancer Foundation sponsors a No Shave November type deal, getting men to vow to go shave-less for the whole month while raising money for research. Fun fact, I participated two years ago in my own school's program! I went a whole month without shaving my face and on the final day, walked in wearing a fake beard. I wore it all day, so it was both hilarious and beneficial because I was able to raise some amazing money for the foundation. 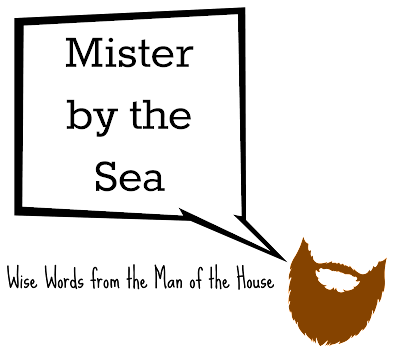 This year, I am not going to be donning a fake beard but I have decided to make a few purchases through Tommy John to help them raise money and help men become more proactive about their health. 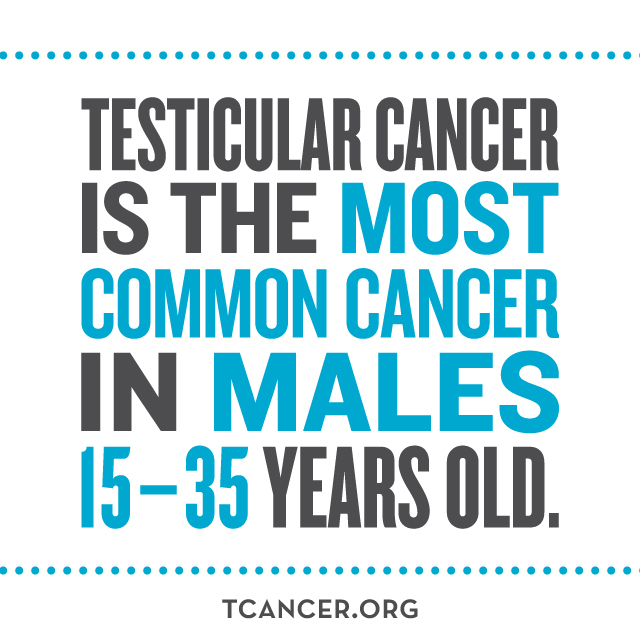 Did you know that on average, every hour, a man is diagnosed with testicular cancer? Yikes. So why am I supporting Tommy John and how are they helping the cause? Tommy John is donating 5% of all sales coming from the limited edition “Mustache and Ball” print collection. They are are contributing $10 for each purchase made by new customers who were referred by someone else, so you know, tell them I sent you! And, even more fun, they are donating $1 for each entry in their Instagram contest up to $1,000! C'mon, how easy is Instagram?! ​ ​To enter, take a photo of any pair of round objects, and tag them on Instagram @TommyJohnWear, @TesticularCancerFoundation & #SupportYourBalls for a chance to win free products from Tommy ​John! Blue balls. Ha. I love puns, but I digress. Testicular Cancer is not a joke, and after loosing my father last month to a different form of cancer, it hits home even more. Even as a woman, I'll be doing my part to make sure David heads to the doctor to get checked, donating to these amazing campaigns, and helping to end this terrible epidemic. 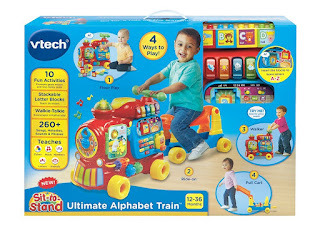 The VTech product, information, and giveaway have been provided by VTech. Additionally, some links are affiliate links which give me a small pay out at no cost to you if you purchase through my link. I have never been worried about my children's developments. Emmalee was so bright and hit every milestone early. I never had any concern with her. Tyler was the same way, rolling at 3 months, walking at 10 months, I thought for sure he would surpass his sister's abilities because she was there to keep up with. He had to be smarter faster to keep up with her but at 18 months old, he doesn't use words. Don't get me wrong, he communicates, but doesn't use words. He points, claps, shakes his hands, says "pop! ", and has a very distinct "Ehhhh" type screech when he wants something, but he doesn't use words. I wasn't concerned until the doctor mentioned something at his 15 month check up. And then I I convinced myself that I had nothing to worry about because his communication skills are fine, even if he doesn't use words. Why would he need words? He has a 4 year old sister who says everything he would ever need to, so he's getting by just fine. But as we hit, and passed, and the 18th month mark with no new words, I am nervous again. I was excited when I was contacted by VTech the same week to see if I would be interested in talking with Dr. Lise Eliot, an Early Childhood Mental Development Expert for a blog post. Dr. Lise Eliot is Associate Professor of Neuroscience at The Chicago Medical School of Rosalind Franklin University of Medicine & Science and she received an A.B. degree from Harvard University, a Ph.D. from Columbia University, and did post-doctoral research at Baylor College of Medicine in Houston. She focuses on children’s brain and mental development and has written countless articles and has authored two books. Of course my first question was what was weighing on my mind. If my 18-month-old is not speaking words yet, what can I do as a parent to help them with his development? 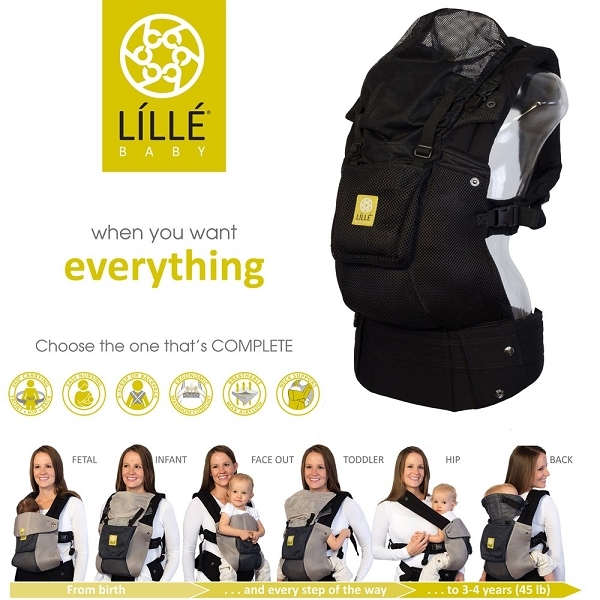 LE: The most important stimulation any young child receives is verbal--talk to your baby; sing to him; read to him; engage him in "dialogue" even if you are only pretending that his babbles make sense. Your child understands words, even if he cannot say them, and will appreciate the sense of being understood. However, if your child really has no spoken vocabulary at 18 months, you should talk to your pediatrician, who may refer you to a speech therapist. Because we do this already, it kind of solidified that I really do need to have Tyler evaluated. That 18 month mark seems to be where doctors and experts draw the line so depending on what our doctor says at his next appointment, we will consider an assessment to see if he needs any time of Early Intervention. I also asked a question regarding Emma. In this day of pushing children to do everything earlier and earlier, what age range is truly developmentally appropriate for early reading skills? LE: As always, it depends on the child, but for the average kid, age 5-6 is plenty early to begin formal reading instruction. Before that age, focus on your child's mastery of the alphabet and letter sounds. ABC books are great for this, especially if they have clever pictures that tell a story using many words with the same beginning sound. Rhyming books and songs are also great for teaching letter sounds, so once children start focusing on letter patterns, they will already be familiar with the rhyming sounds they make. You can also look for toys that serve as vocabulary builders, like VTech’s Spinning Lights Learning Hippo, which promote phonics and language development that can help with early reading skills. It felt really great to hear that although Tyler is struggling with his words, we're on the right track with both him and Emma when it comes to helping push their development. We talk constatntly, push literacy and reading even if they don't know the words and story walk instead, and we use toys that encourage this type of development! 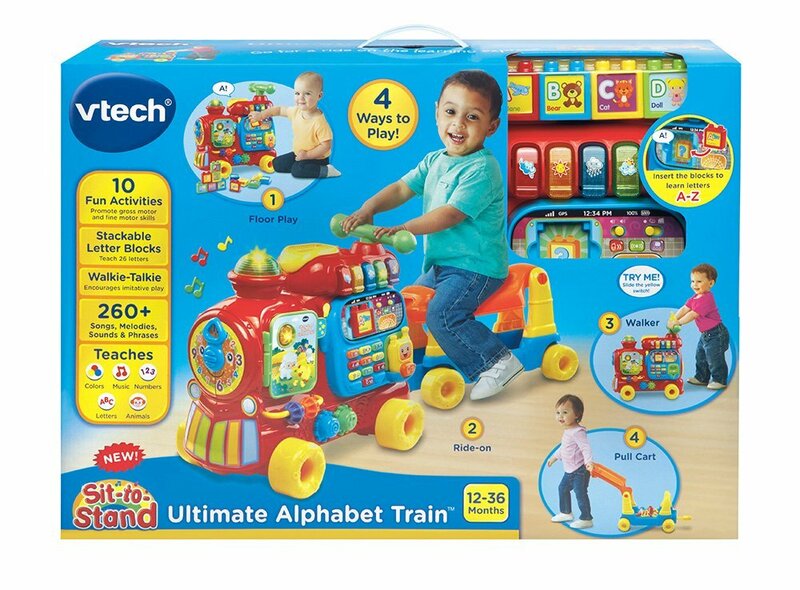 One of our favorite toys is the VTech Sit-to-Stand Ultimate Alphabet Train . 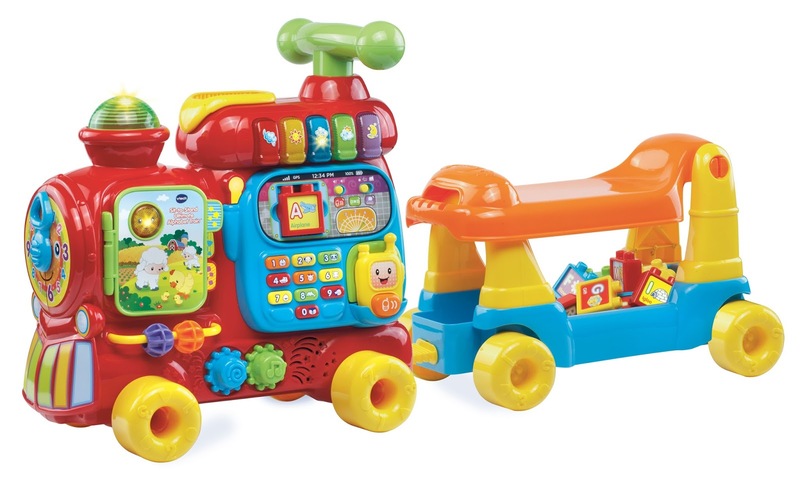 This amazing train works for both kids, to play with! Tyler pushes himself around on it while Emma puts the letter blocks into the talking port where she listens to the letter, the sound, and fun songs. 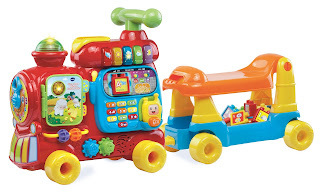 It is the perfect toy to get them learning while playing! When little conductors get older, the caboose converts into a wagon they can fill with toys and pull along to develop gross motor skills! If they didn't have it already, we'd be asking Santa for it so we're going to play Santa and let one of our lucky readers win one! Open to US readers, winner will be notified on December 5th and have 48 hours to respond or a new winner will be chosen.